Have you ever been curious about the difference between yin yoga and restorative yoga? If so, this video is for you. Yin yoga and restorative yoga are similar in that they both hold poses for long periods of time anywhere from 3 minutes upwards to 10 or even 20 minutes per pose! Restorative Yoga is a deeply relaxing style of yoga. Your body is held in shapes while being supported by the floor, bolsters, blankets, blocks, pillows and straps. Your body is completely held by the props allowing you to release tension and let go. We have over 10 original, exclusive restorative yoga classes in our membership community for anxiety, digestion, spring, menstruation, adrenal glands and exhaustion, winter, illness, exhaustion, and back pain ranging from 18 minutes to 2 hours. We would love to welcome you into our membership community where we keep our best value added content for our members and will support you in your restorative yoga practice. If you are feeling stressed, anxious, like your nervous system is always on edge, and your life moves at a frenetic pace then restorative yoga is a fabulous way to slow down, soothe and nurture your body. Yin yoga uses yoga asanas or postures to affect the yin tissues of the body including the ligaments, joints, deep fascial networks and even the bones. Most yoga only affects your muscles. Yin is yielding, allowing and nourishing. Yin awareness and acceptance will allow us to gain contentment in our life. Yin is soothing and calming. Yin yoga is necessary if you live in a world that is incredibly yang, that is if you find you are always on the go, striving, working three jobs, rushing, trying hard to stay ahead, looking after your family, running around. You need to balance that excessive energy with quieter yin. Leave your Comments: I want to hear from you. What kind of yoga do you practice? 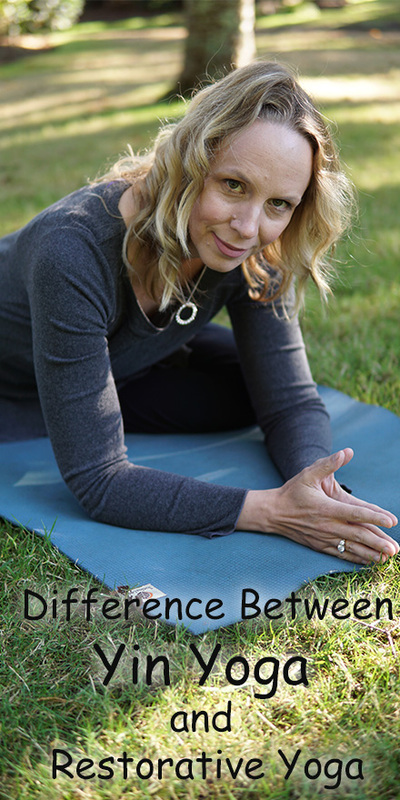 Yin yoga or restorative yoga or both? Which style do you prefer and why? Restoring your energy and learning about yin yoga is not something you can do in just one short video like this. Just like brushing your teeth, yoga is something you need to do everyday. The best way I have learned to restore my energy and attend to my connective tissue is to incorporate restorative yoga and yin yoga into my everyday life. I am going to share with you a good, better and best way to do that now.